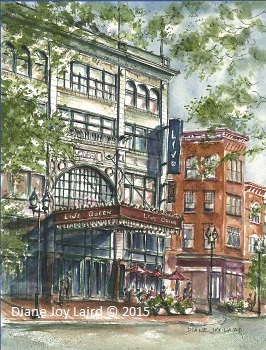 This painting of the Smyrna Opera House depicts the entry from Main Street and was completed in October 2012. 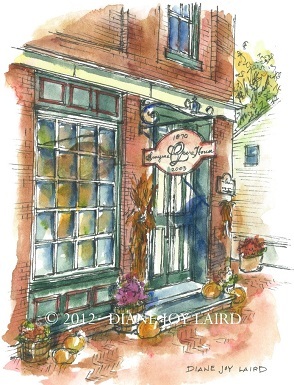 The original painting is 5″ x 7″ and was auctioned at the Kent County Tourism Awards Luncheon in November 2012. 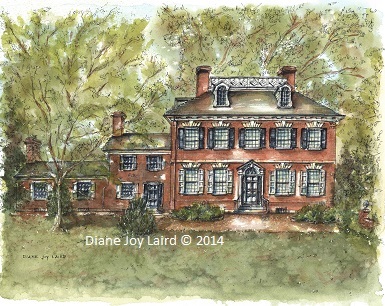 Limited edition prints and notecards are now available. World Cafe Live is a live music venue with two stages and fine dining located on Market Street in downtown Wilmington, Delaware. Renovation of this landmark, historic theater was completed several years ago, led by Hal Real, Founder of the Real Entertainment Group, Inc, and the Light up the Queen Foundation. 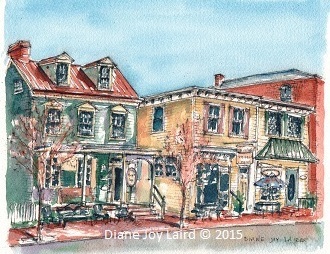 The original painting was juried into the MAPAPA exhibition at the historic Peale Center in downtown Baltimore in October 2015. Prints and notecards are available. The Corbit Sharp House is a historic house museum owned and operated by Historic Houses of Odessa. Visit for an afternoon stroll or visit nearby Cantwell's Tavern for a meal based on Odessa history. 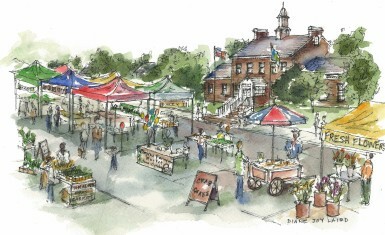 Limited edition prints and note cards are also available.